UPDATED! Where is Claire? Some Book Week Scotland events you should come to! Well folks, the PhD is submitted. It’s in, gone, there’s no longer anything I can do with, at, to, or about it. Which means I have to start doing poetry events again, because I no longer have an excuse not to. Here are a few you should come along to. Not (only) because of me, but because Book Week Scotland, Making It Home and Inky Fingers are all super fabulous, and need your support! Book Week Scotland is a totally amazing initiative — and I’m not just saying that because I’m paid to. I’m so happy that BWS have recognised the amazingness of the women of Making It Home, and teamed up with us in order to showcase the work we’ve been doing. At this event, I’ll be facilitating a showing of the Making It Home project films, and reading the poems that inspired those films. There’ll also be a discussion around the power of poetry and writing to conquer violence (especially violence against women). Very excited about this one. 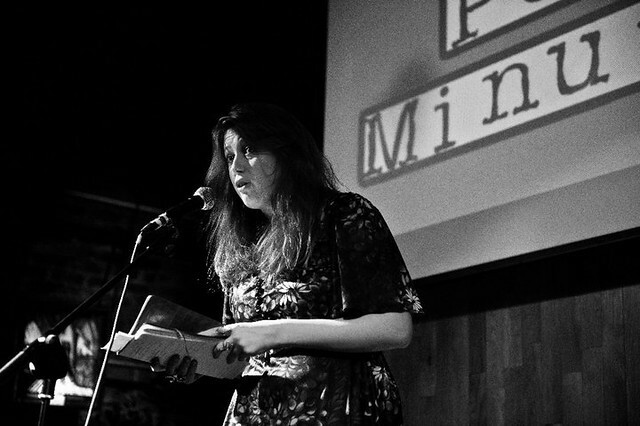 Talking Heids is a brand spanking new monthly poetry night invented and hosted by the magical Mr Colin McGuire, who as you probably know by now is my #1 favourite Scottish performance poet. This month he’s joined forced with Book Week Scotland to bring you feature slots from Rachel Amey and Rob A Mackenzie. There’s also an open mic, at which yours truly will be reading, and which you can sign up for at the Facebook event. Come along and see the Making It Home project films, then write your own poem inspired by one or all of them. The lovely and talented Jane McKie will be on hand to encourage discussion and thought on the topics of home, belonging, identity, nationhood, sanctuary and displacement. Come along with a pen, leave with a poem. What is a philosophical football match, I hear you cry? Well, you get some philosophers, they sit around a table, and a Muse drops in and gives them a topic to debate over. Whoever comes up with the best argument scores a goal, and the philosophers move onto the next topic, until time runs out or the Muse gets tired or the philosophers run out of arguments or… something. And a trusty poet is on hand to record all of it, and create a great work of literature at the end. Sound intriguing? Well, it’s happening on Friday night in Glasgow, and guess who the aforementioned trusty poet is? Please come along and cheer on your favourite philosopher! OK, so many things about this event are exciting. One: all the performers are reading poems by dead poets. Two: all the performers will be dressed as dead poets. Three: I get to dress as a dead poet BUT NOT PERFORM! 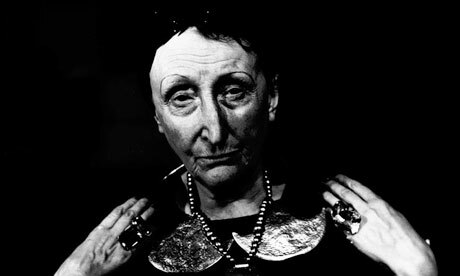 Four: the dead poet I will be dressed as will be DAME EDITH SITWELL (Oh. hell. yes.) 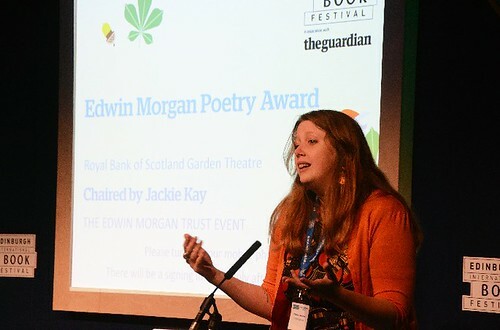 Five: I’m one of the judges, along with Alice Tarbuck and, er, Jane McKie (we are each others’ friendly poet-y stalkers), so I have ALL THE POWER MUAHAHA. OK, just kidding. I am a nice judge. Anyway, it’s going to be totally fabulous, and you should really come along, and you should really dress up. Really. Posted in Participate! | Comments Off on UPDATED! Where is Claire? Some Book Week Scotland events you should come to!